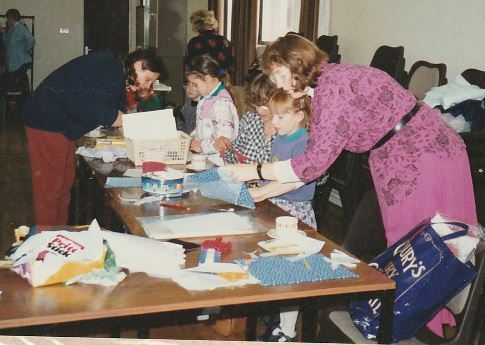 Long, long ago I was actively involved in the Quilters’ Guild (as it was then) first as a Young Quilters’ Rep for my Region, then as YQ Officer and finally as the YQ magazine editor. At the same time I also ran a little local group of Young Quilters. 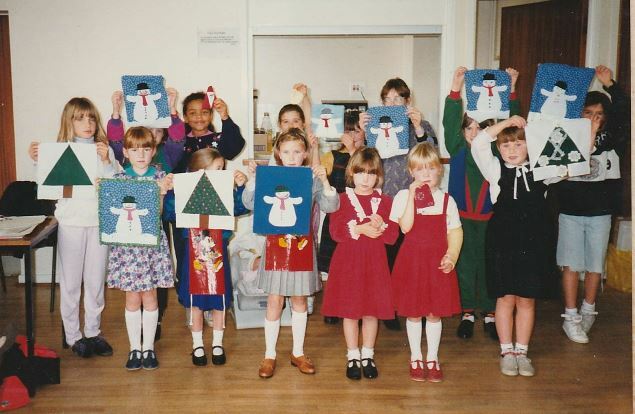 My Young Quilters all grew up and, with changes in the law (The Children Act – meaning that anyone working with children had to be police checked) making it too expensive to carry on, our local group faded away. I’ve recently come across some photos taken during those years as well as some of the worksheets and articles. 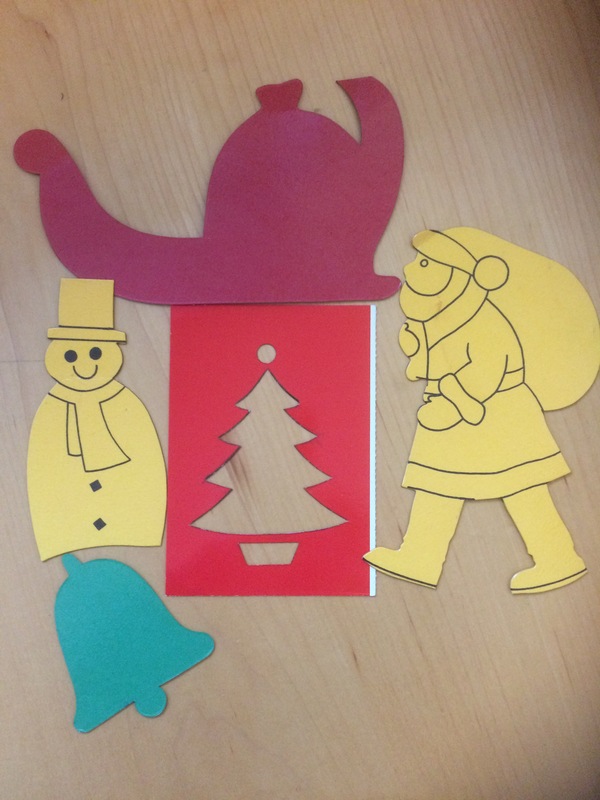 Not wanting these to go to waste (as it were) I thought perhaps the next generation of Young Quilters might enjoy making some of these Christmas themed projects – with a little adult help. Although most of the adults helping out at YQ meetings seemed to enjoy making the projects every bit as much as the children! I’ve turned some of these projects into a PDF and put them in my shop for you to download for free. Most of them are designed as ‘quick and easy’ makes to keep little stitchers happy in the run up to Christmas or perhaps to make things ready for next Christmas – its never too early to start. 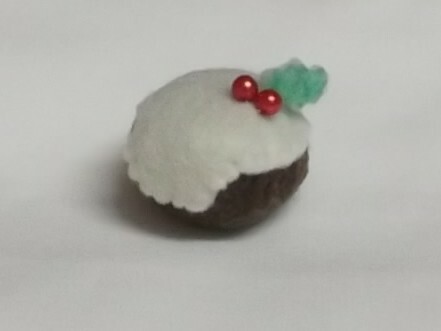 The projects are a Christmas Pudding pincushion; some decorations, including a Father Christmas and a hexagon star to hang on the tree; a Christmas Star made from wadding (or felt); a Snowman to applique (fusible web is great! 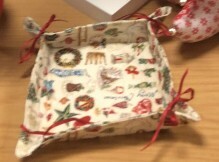 ); and finally a simple fabric box for sweets or trinkets. Some involve more stitching than others, but all are suitable for 5 years and upwards with adult assistance. Not all the worksheets are neatly typed – they predate my computer and are hand-written and drawn! 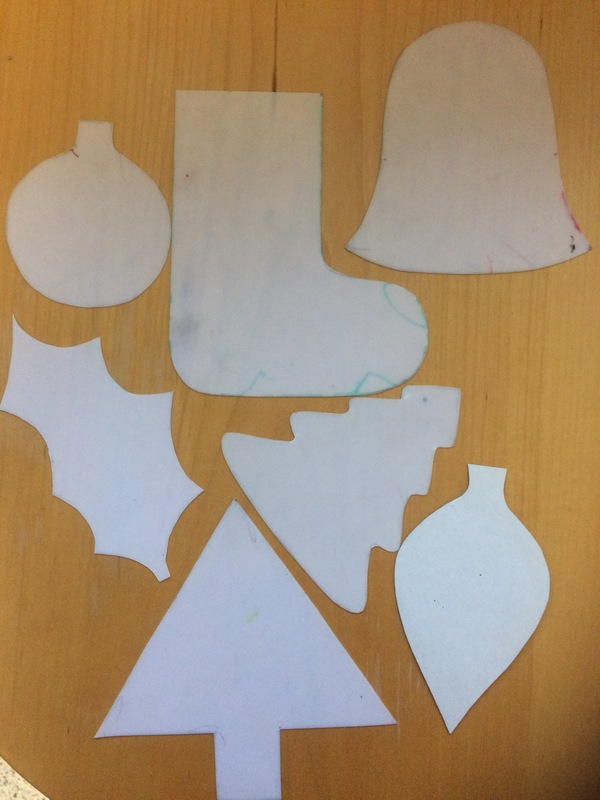 I have also included a sheet of Christmas Tree decoration shapes to stitch in fabric or felt. I found children’s colouring books, stencils and sets of templates ideal for simple applique or for fabric printing and painting. 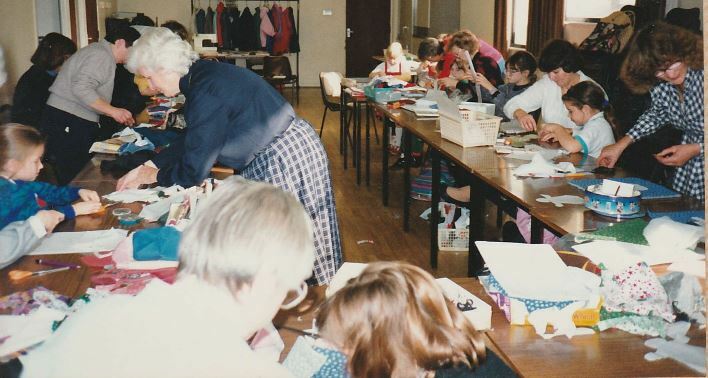 I haven’t been able to find pictures of many of the projects – the little fabric box is an exception, but I hope you enjoy the photos from one of the Christmas workshops we held nearly 30 years ago. 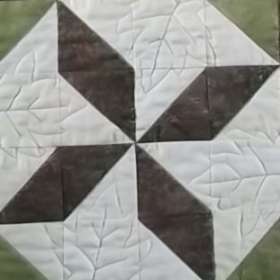 If you want to start a little YQ group or junior stitchers, or whatever you want to call yourselves then start small – around your kitchen table with a few friends. I made it a rule that all children had to be accompanied by an adult who would be responsible for looking after them – threading needles, helping with tricky bits, or even making the whole thing. With everyone supplied with plentiful cups of tea, squash and biscuits as necessary we had a lot of fun. 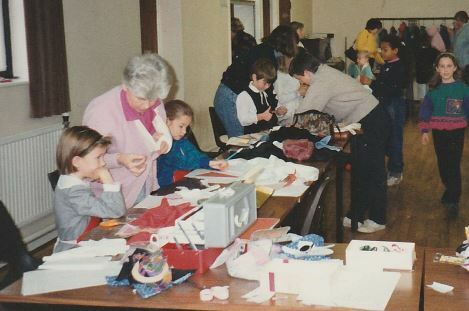 We outgrew the kitchen and eventually moved to variety of local Community Centres and Village Halls. The Quilters’ Guild still have a Young Quilters section and more help and advice can be found on their website. You may find that your local quilt shop has (or is willing to host) sewing sessions for children during the school holidays.